The Fiscal Oversight Financial Board (FOMB) that controls the financial decisions of the government of Puerto Rico signed a contract with the company Strategies of up to $120,000 per year, to help in their public relations efforts and the approach to key sectors in the United States. The contract, which is dated March 15, joins five other agreements with lobbying, government relations and public relations companies that the Financial Oversight Management Board has totaling $2.7 million. At a time when the future of the seven members of the FOMB is on the air, before the decision of the First Circuit of Federal Appeals that declared unconstitutional the mechanism by which they were appointed, the fiscal entity rejected that it is in campaign so that the president Donald Trump names the current members of the agency. But the FOMB has in the agenda to present, in the coming weeks, the certiorari before the Supreme Court of the United States with which it seeks to defend the continuity of the current structure of the fiscal entity, following the decision of the First Circuit of Federal Appeals that it gave to President Trump and to the Senate until May 16 to confirm the current members or appoint new members. In its presentations to sectors in Washington, the FOMB has defended the political balance that has the fiscal entity, due to the mechanism that allowed the then President Barack Obama to appoint six of the seven members of the agency based on the recommendations of the leaders of Congress of both parties. 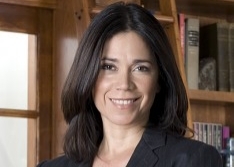 Fuentes Strategies is the company of the Puerto Rican Jennice Fuentes, a consultant from the Washington area who was formerly the chief of staff of the now former Democratic congressman Luis Gutiérrez. Fuentes helped organize the presentation last Thursday night that had the executive director of the FOMB, Natalie Jaresko, before students at Georgetown University. Jaresko – who is expected to be invited to testify on May 2 before the Committee on Natural Resources of the federal lower house – also had other meetings in Washington last week. The contract with Fuentes Strategies is intended to help expand access and the message to “different interest groups,” said a source close to the FOMB. Fuentes is also co-founder of the non-profit groups BoricuaActivate and BoricuaActivatEd, which operate independently from Fuentes Strategies. BoricuaActivate has joined other diaspora organizations in support of initiatives for the island, such as claims for emergency aid after Hurricane Maria and full access to the Medicaid program. BoricuActivatEd, among other things, offers workshops to representatives of the diaspora on how to lobby before Congress or local legislatures. With a total budget of $64.7 million for this Puerto Rican fiscal year – money that comes from the budget of the government of Puerto Rico – the FOMB has three companies in Washington dedicated to lobbying and government relations: Willlams & Jansen ($660,000); Off Hill Strategies ($360,000); and Holland & Knight ($480,000). Contracts in the area of ​​”communications” include APCO Worldwide ($540,000), which has an office in Washington. In San Juan, the FOMB has a contract with Forculus Strategic Communications ($360,000) and Monitor SN ($180,000). In its decision of February 15, the Federal First Circuit of Appeals determined that the members of the FOMB are high level federal officials, so the mechanism used to name them violated the constitutional clause of appointments. The First Circuit maintained that the appointments had to be sent to the Senate for confirmation. Six of the seven appointments were made by President Obama on the basis of short lists presented by the leaders of Congress. Obama appointed the seventh directly. None went to the Senate for confirmation. Jaresko has indicated that, in the coming weeks, the FOMB intends to ask the US Supreme Court to review the decision of the First Circuit. The US Department of Justice has not hinted whether they will also ask to review the decision of the First Circuit, at a time when the White House is considering the option of appointing the seven current members of the FOMB. The members of the FOMB – prior to the decision of the First Circuit – were supposed to fulfill their three-year term on August 31, but the law indicates that they can remain in office until “their successor is designated” and that “a person can serve … consecutive terms “. On Twitter, attorney John Mudd, a bankruptcy expert, said the US Department of Justice is unlikely to endorse the FOMB’s request to revoke the First Circuit of Appeals if you have not indicated so far that it will do so. And for Mudd “without the certiorari of the attorney general it is very unlikely” that the US Supreme Court will grant it, and review the case, as the FOMB wants. For Mudd, the FOMB seeks to delay the presentation of the certiorari in the hope that the US Supreme Court will not consider it until its next session, which begins on October 1. The current session of the top US judicial forum ends in June.